If you are fond of staying outdoors and like camping, you probably have a lot of camping equipment to make your outdoors stay more comfortable and enjoyable. Camping equipment usually includes a tent, a sleeping mat, a sleeping bag and tools for cooking. However, there is one thing that many campers forget about – camping booties. They can be described as special camping footwear worn in the base camp after a long hiking day. These booties are usually soft and warm which provide the feet with the necessary level of comfort. You might probably think that you do not need camping shoes since it is waste of money and extra weight to your backpack. However, you should imagine how nice it is to wear something soft and warm instead of walking around with your hiking shoes after an exhausting day. Therefore, camp booties are definitely a great investment. In this article, we will provide you with more information about camp footwear and with several reviews of the best camp booties that might just be worth your money. Since the contemporary outdoor market is full of different manufacturers that offer their products, it might be challenging to choose a footwear that meets your needs. With regards to camp footwear, there are specific features and criteria that need to be taken into consideration before purchasing a pair of nice camp shoes. Below there is useful information on what features and characteristics are really important for good camp footwear, and what you need to take into consideration before buying camp booties. If you are going on a long hiking trip and have to carry a lot of outdoor equipment, the weight of your backpack can be a serious problem. Therefore, if you decide to buy camp booties, make sure that they are not heavy and their weight does not exceed 16 ounces by not allowing the shoes to become a extra heavy burden. A good option is down booties that are usually very light and almost do not weigh anything. All backpacks have limited space, therefore you have to think thoroughly what you need to take with you on an outdoor trip. While such things as food, outdoor equipment and clothes are definitely priority, camp footwear is an additional tool and many hikers decide not to take camp shoes with them if they are too big and bulky. Therefore, while choosing good camp booties make sure that they are compact enough and you can easily fold them if necessary, so they will not take too much space in your pack. You never know, in which camping area you are going to stay and what type of ground there is. There might be a lot of small stones and tree roots that can be considered as a serious threat to your feet and toes particularly. In order to provide your toes with necessary protection, choose camp booties that are equipped with either front padding or toe kick protection. Since weather is usually unpredictable, you cannot be sure that you are not going to be caught by rain on a camping site, even if weather forecasts promised you a sunny day. Therefore, if you do not want to walk around by wearing wet footwear or you do not want to put wet booties into you backpack next day, then you should choose camp shoes that get dry quicker. Usually there are shoes made of neoprene, nylon, mesh or plastic. Some models of camp shoes are created not only for wearing on a camping site, but also for stream crossing. If you consider purchasing this type of camp footwear then you should know that such shoes must possess certain qualities: they should not come off mid-stream and they provide excellent stability, especially if you cannot observe your feet underwater. Such shoes should have a closed heel and should close with a strap or laces. You should also make sure that they provide necessary arch support. In general, it is possible to say that perfect camp booties must be lightweight, should have porous mesh in order to drain liquid and be equipped with shallow rubber tread to grip wet and slippery surfaces. In this part of the article we would like to present you several reviews of camp booties that we highly recommend you to consider and buy, since they have all the necessary features and characteristics to be called high-quality camp shoes. We hope that among them you will be able to find your dream camp booties. The Outdoor Designs Men’s Down Bootie are definitely a great example of perfect camp footwear, since they are very durable and lightweight at the same time. 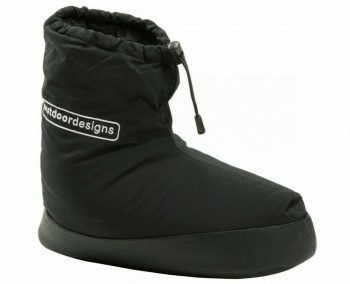 Filled with down, they keep your feet warm even in a very cold conditions. Moreover, thanks to down, the shoes are very compact and do not take too much space in a backpack. It is also a good choice for those campers, who used to wear their shoes in rainy conditions: the outer shell of the booties is nylon that makes the water resistant. Wearers also appreciate them for durable padded sole that protect feet and provide them with the highest level of comfort. 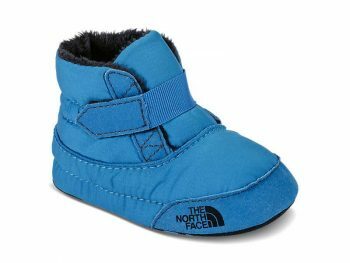 If you are searching for camp footwear for the smallest hikers and campers and you want to make sure that their feet is warm and properly protected while staying in a camping site, then you should definitely consider these nice The North Face Infant Asher Bootie. What exactly does make them so good? First of all, they are extremely soft and comfortable due to a plush fleece lining. Also, they are perfect for fast-growing feet of babies because they are quite spacious and have enough room. In addition, by choosing these booties you will not have to spend too much time and effort in order to put them on: there is special hook-and-loop closure system for much easier on/off/. Thus, these shoes are right choice for those parents, who want to make the first winter of their children as comfortable and soft as possible. Related: If you are searching for warm and cute gloves to keep hands of your child warm, we recommend you to check The North Face Baby OSO Cute Mitt that are very durable due to Nylon Taslan over knuckles and soft since they are made of plush. These Bloch Dance Warm Up Bootie Shoe are the choice of many male and female campers and outdoor lovers, who appreciate comfort, warmness and style. They are designed by bloch starts and ballet theatre principal dancers such as Max Beloserovsky and Irina Dvorovenko. These shoes have all the necessary characteristics in order to be called perfect camp footwear: they are soft due cushioned heel, warm thanks to polyester filling and waterproof because of the nylon shell. They feature great fit and can be easily adjusted if necessary with the help of an adjustable strap. Thus, if you want to look stylish and stay warm at the same time, consider buying these booties. Related: Bloch also offers you another pair of very stylish camp booties – Bloch Unisex Warm up Two-Tone Booties. They are characterized s very warm shoes with cushioned heel that help you to stand out and not to be left without attention. 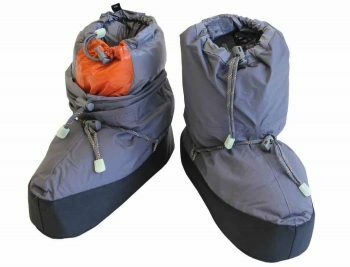 If you need universal and comfortable booties for wearing them on a camping site, somewhere in mountains, in hut or in your own garden at home, then Exped Syn Booty can be a perfect and reasonable choice. Owners appreciate this boots for their lightweight (only around 200 g), durability and capacity to resist humidity, which is provided by 200 g/m2 Texpedloft microfiber synthetic filling. In additional, there is a special silicone print on the soles of these shoes that provides additional grip and increases their durability. Related: If you need something even more lightweight and compact, the shoes that can easily fit even the most filled and tight backpack, then your choice should fall on Exped Down Booty that are extremely warm, soft and comfortable. 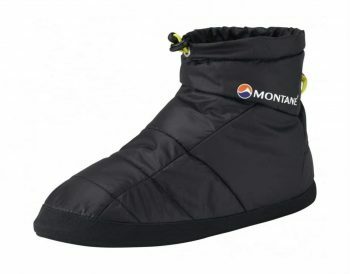 The Montane Prism Bootie is very warm, lightweight and comfortable camp bootie for wearing on a camping site or in huts. Due to its waterproof and windproof qualities it is suitable for very low temperatures and in very difficult weather conditions. Even if you get wet while wearing these shoes, you do not have to worry – the booties get dry very quickly. Owners of this pair of shoes note their exceptional durability that is provided by the tough hypalon sole that extends into shoes upper. These booties are absolutely universal: you can take them either to adventurous expedition to Himalaya or wear them while camping somewhere in Scottland. Related: If you want to make sure that not only your feet but also your head and ears are kept warm, have a look at Montane Unisex Logo Beanie. It is made of merino wool (50%) and acrylic (50%) which provides an extremely high level of comfort and warmness. 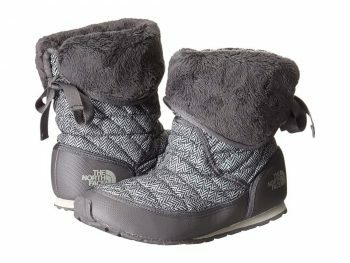 Those female hikers and campers, who would like to keep their feet in warmth and comfort, should consider these incredible The North Face Thermoball Roll-Down Bootie designed and created specifically for a comfortable stay in low temperatures. Since they are lightweight, they will not turn in an extra burden in your backpack. Moreover, they are compact and packable, so you can easily find a place for them even if your backpack is absolutely full. Due to oso-fleece-lined, your feet will never get cold or sweaty – the booties always provide the most comfortable temperature inside regardless the climate conditions outside. The material is water-resistant and mudguard, which means that the shoes will never get too wet or dirty. Many owners note that even after intense and long use the shoes remain as good as new. Related: Check out The North Face Thermoball Micro Baffle B, that are quite similar to the above described, but have a bit different design and are made of leather, which makes them even more durable and high-quality. 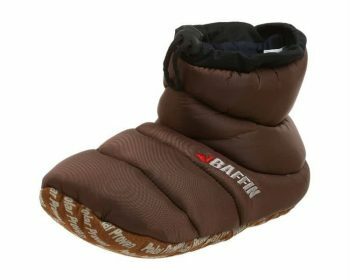 By wearing Baffin Unisex Cush Insulated Slipper Booty you can be sure that you will be given comfort and warmth of a polar-proven sleeping bag in a very convenient slipper style. The compact design and lightweight of the shoes feature warm insulation and drawstring. They also have a rubber flexible outsole that makes them even more convenient and functional. The booties are made in accordance with the highest Baffin’s standards based on combination of molding technology with a foam-based inner boot system. As a result, compared to other typical camp booties, this pair of shoes is appreciated for increased comfort, softness, feet and toes protection and fit. 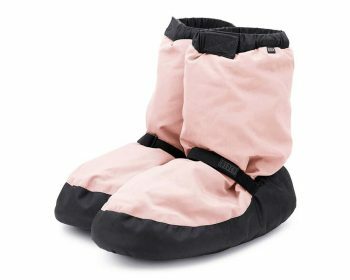 Related: If you search for something simpler from Baffin, then have a look at Baffin Unisex Cush Insulated Slipper that suit both males and females. They provide perfect puffy down protection for feet and toes and guarantee comfort and convenience while you walk around a camping ground, house or travelling. Though camp booties may not be in the list of obligatory outdoor equipment of most outdoor enthusiasts, it is still nice and useful to have them with you and wear them in order to feel comfort and warmness regardless of the weather and the place where you are staying. We hope that this article provided with you with all important information about camp booties. Also, we hope that you have a better idea on how to shop for this type of camp footwear. Tell us, have you found here a perfect pair of camp shoes for yourself? What kind of camp shoes you would like to have and why? Sound off in the comments! Crampons vs Microspikes: Which is the Best Device to Securely Travel in Snow and Ice?